This contemporary world houses large number famous companies that are famous all over the world which have earned huge revenue over their years of operation. In reality, the competition among the world’s richest revenue-generating companies is quite stiff and these companies always try to overtake each other from time to time. In fact, the world’s richest companies use the revenue of each company as a determinant parameter and Walmart, a US-based company, is at the first spot with the mouthwatering revenue of $485,873 million as of 2018. According to the world’s largest companies by consolidated revenue as of 2018 and according to the Fortune Global 500 tally, here is the list of top 10 richest companies in the world by revenue. Walmart, formerly knowns as Wal-Mart Stores, Inc. is an American multinational retail corporation, headquartered in Bentonville, Arkansas. The company was founded by Sam Walton in 1962 that operates a chain of hypermarkets, discount department stores, and grocery stores and has 11,718 stores and clubs in 28 countries, operating under 59 different names. With the revenue of about $500,343 (USD millions), it is one of the richest companies in the world and acquires the top position in Fortune Global 500 ranking. During the fiscal year 2012, Walmart registered sales of approximately $444 billion which is $20 billion more than Austria’s GDP. 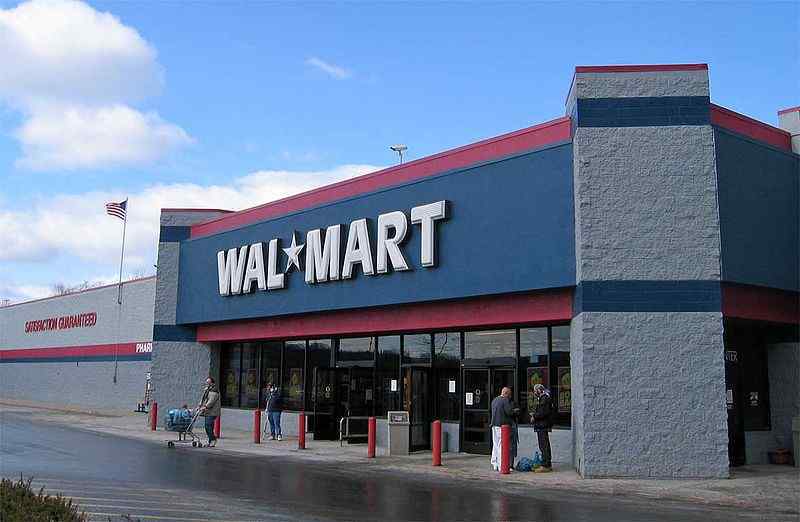 According to the reports, a family of 4 spends over $4,000 a year at Walmart. The Walton family has given away about 2 per cent of its net worth to charity and one of every four dollars Americans spend on groceries is spent at Walmart. The State Grid Corporation of China, commonly known as the State Grid, is the state-owned electric utility monopoly of China. It is the largest utility company in the world. As of 2018, it is the second largest company in the world overall by revenue with a revenue of 348.903 billion USD. In recent years, State Grid has been firmly implementing the decisions and initiatives of the Central Committee of the Communist Party of China in order to ensure safe and stable operation of power grids, make new progress in grid construction, improve the business environment for the power industry and support economic growth and energy transition in China. The worlds second largest company by revenue and largest utility company in the world was reported having 927,839 employees and 1.1 billion customers. It covers 88% of the most populous nation’s terrain with a revenue of $348,903 (USD millions). State Grid has also aggressively been pursuing clean energy investment. The firm is also a growing a portfolio of assets around the world, from Australia to Italy to Brazil. China Petroleum & Chemical Corporation or just Sinopec, is a Chinese oil and gas enterprise headquartered in Beijing, China. It is the largest oil refining, gas and petrochemical conglomerate in the world that includes oil and gas exploration, refining, marketing, production and sales of petrochemicals, chemical fibres, chemical fertilizers, and other chemical products. Also, it is one of the richest companies in the world by revenue as per the Fortune Global 500, 2018 ranking. The company was established in July 1998 on the basis of the former China Petrochemical Corporation. The second largest Chinese national oil company after PetroChina (CNPC) is also listed as one of the largest companies in the world. The fully integrated company is the second largest oil and gas producer and also developing its exploration and production activities overseas that will fulfil the necessary oil and gas feedstock to run the country economy. The China National Petroleum Corporation(CNPC, a Chinese oil and gas corporation is one of the largest integrated energy groups in the world that is headquartered in Dongcheng District, Beijing. It was ranked at the fourth position in 2017 Fortune Global 500, a global ranking of the largest corporations by revenue. Also, it is one of the voluminous companies in China with an estimated revenue of about $262,573 million. The China largest company refines and sells crude oil and natural gas along with oilfield services. The 4th largest company in the world is now facing pressure from stricter environmental standards in many markets and also the tense relationship between the U.S. and China. The origin of the firm goes back to the earliest days of Communist China when it was launched on March 27, 1950, by an agreement with the Soviet government to establish the Sino-Russian Petroleum Co. Ltd.
Royal Dutch Shell, commonly known as Shell, is a British–Dutch multinational oil and gas company with its headquarters in the Netherlands. It is one of the six oil and gas “supermajors” and ranks at sixth position in the world by revenue as per the fortune Global 500 list of the world’s largest companies. Also, Royal Dutch Shell’s revenue was equivalent to 84% of the Netherlands’ GDP in the year 2017. This is the first company to purchase and use the computer Ferranti Mark 1 in the year 1952 and it started out as an antique store and an oriental shell store. The company went changes in 1907 by merging to compete with Standard Oil Company and later slash was removed from Royal Dutch/Shell in 2005 and today, the name Shell remains only. In 2013, Royal Dutch Shell was the number one company on the ‘Fortune Global 500’ list. Toyota Motor Corporation, popularly branded as Toyota, is a Japanese multinational automotive manufacturer headquartered in Toyota, Aichi, Japan. It is one of the richest companies in the world by revenue and also the world’s second-largest automotive manufacturer. Toyota was the world’s first automobile manufacturer to produce more than 10 million vehicles per year. Volkswagen is the largest German company with the sixth position among the world’s richest companies by revenue. Volkswagen holds the revenue of about $240,264 million and with its Headquarters in the capital city of German, Berlin. In terms of sales, Volkswagen is the world’s biggest automotive company and today, it is a globally recognized company producing automobiles under various brands like Audi, Bentley, SEAT, Lamborghini, Ducati, Bugatti, and Scania and many more. Formey it was known as The British Petroleum Company plc and BP Amoco plc is a British multinational oil and gas company operated in London, England. The firm is listed in world’s top 7 oil and gas “supermajors” and making it one of the biggest oil and gas producer. The company is operating in 70 countries worldwide and producing around 3.6 million barrels per day of oil equivalent and had approximately 18.441 billion barrels of proved reserves of oil equivalent. The company has made around 18,300 service stations worldwide with the largest division is BP America in the United States, however, in Russia, it owns a 19.75% stake in Rosneft, the world’s largest publicly traded oil and gas company by hydrocarbon reserves and production. This is the 8th richest company in the world with a revenue of $244,582 (USD millions) Revenue. Exxon Mobile Corporation is an American multinational oil and gas corporation. It is headquartered in Irving, Texas and it is one of the largest Oil Companies in the world, formed in the year 1999 by the merger of Exxon and Mobil. It is the world’s 10th largest company by revenue, ExxonMobil was the second most profitable company in the Fortune 500 in the year 2014. Also, ExxonMobil is one of the largest Big Oil companies or supermajors of the world with a daily production of 3.921 million. Berkshire Hathaway is an American multinational conglomerate, headquartered in Omaha, Nebraska, United States. Apart from being one of the richest companies in the world, the company has also acquired large holdings in the major US airline carriers and is currently the largest shareholder in United Airlines. With employing large amounts of capital, and minimal debt, it is one of the richest companies in the world with an estimated revenue of about $ 241.184 million. These are the richest companies in the world. Do post your comments.